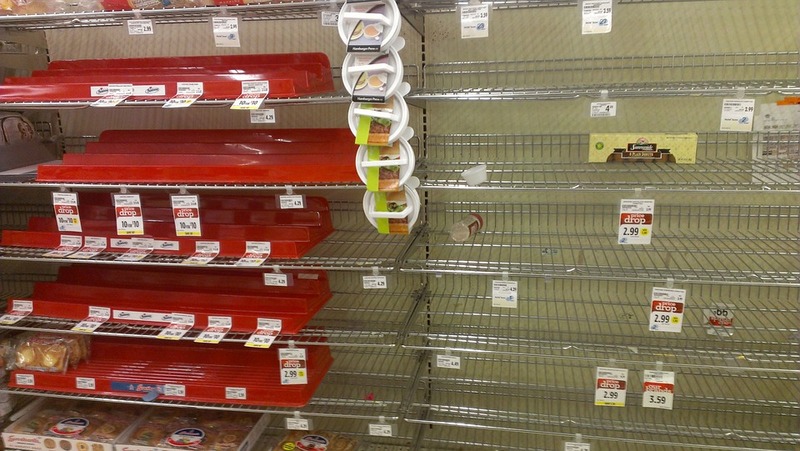 Do supply shortages or consumer panic buying occur in your industry? If so, what should you look out for and what actions should you take to lessen negative effects on your firm? Ram Narasimhan, professor of business at Michigan State University. As supply chains become extended and globalized, firms are more vulnerable to supply disruptions due to a variety of external factors such as supply shortages, adverse market conditions, and transportation disruptions. The direct impacts of supply disruptions are catastrophic as they cascade down the supply chain. The tsunami in the northeast coast of Japan on March 11, 2011 created a severe shortage of Xirallic, a specialty pigment made in a single plant that suspended production for two months. This forced several global automakers including BMW, Chrysler, Ford, General Motors, Toyota, and Volkswagen to stop taking orders for certain colors using Xirallic. In July 2016, a sudden bankruptcy of a small, just-in-time vendor of acoustic insulation and interior trim parts nearly brought General Motors’ most profitable North American operations to a halt. The indirect effect of supply disruptions also should be noted. Upon detecting any event that can lead to upstream disruptions, consumers often stockpile supplies to mitigate the risk of future shortages. For instance, when rice production in Australia was reduced by 98% after a long drought period in 2008, consumers in Vietnam, India and Hong Kong began to stockpile rice due to the fear of insufficient future supply – which actually made the shortage problem worse. Another example came after the radioactive leak at Japan’s Fukushima nuclear plant in 2011, when consumers went on panic buying of various products such as iodine tablets (in Bulgaria), salt (in China), red wine and seaweed (in Russia) that were rumored to prevent radiation poisoning. This consumer stockpiling behavior can immediately affect the decisions of the retailer with respect to both order quantity and inventory level and/or sourcing strategy (i.e. single versus dual/multiple sourcing) and order allocation (if dual/multiple sourcing strategy is selected). This could sequentially influence more upstream suppliers’ decisions about pricing and volume flexibility. As the industry matures, U.S. retailers have witnessed notable changes in competitive dynamics characterized by thinner margins, globally dispersed suppliers, etc. So, how can retailers achieve profit maximization while mitigating the negative impacts of demand distortion due to consumer panic buying? New research co-authored by Kim, Yoon and Narasimhan investigated the optimal sourcing strategy of a retailer positioned between a supplier and consumers in a multi-tier supply chain by considering consumers’ stockpiling behaviors and supplier’s volume flexibility. Consumer panic buying behavior becomes more pronounced when the consumer has experienced supply shortages in the past. The demand fluctuation from the consumer’s stockpiling behavior is highly affected by retailer’s inventory level (a higher inventory level leads to more balanced demands). Supplier’s high volume flexibility (i.e., supplier’s ability to change output level of products produced) enables the retailer to decrease inventory level so that it can reduce inventory holding cost. Further, the high supplier volume flexibility allows the retailer to stock more inventories to create more profit, when supplier’s reliability is low. This result indicates that from the supplier’s perspective, the supplier needs to improve its volume flexibility at lower cost when it recognizes that the retailer anticipates that its reliability is low. Higher supplier reliability is always better when retailer’s purchasing price is stable. The research found this intuition can be supported only when the supplier reliability significantly increases. Based on analysis, the marginal increment of supplier reliability deteriorates retailer’s profit when the initial reliability is very low. This result suggests that the retailer should find cheaper but more unreliable supplier or highly reliable but expensive supplier for better profit performance. For suppliers, this result recommends that they focus on increasing volume flexibility rather than reliability if they are incapable or unsure of making a significant improvement of their reliability.